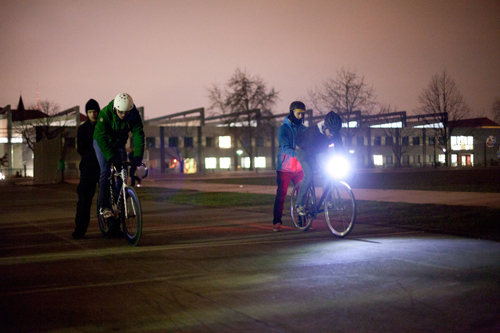 This was the first year that the FIXED DAYS took place in Berlin. In total there were more then 100 riders from all over Europe (even a few from the US) racing and partying hard. Max, Chris and Stefan the team riders of 8bar raced as many races as possible. Unfortunately the forth team rider Jens was sick and couldn’t take part in any races. The Sprint race was outside on an old 400m short track. The rules were said to be 1 on 1 until the last men… Max x Stefan won their first round easily and (thought) they made it into the next round. Unfortunately the organizers changed the rules (because of lack of time) after the first round and just the top 10 made it into the finals. Stefan was below the top ten and finished on a good third place. This was the biggest event of the Fixed Days. After one complete day standing at the booth this was a nice change to relax your legs. 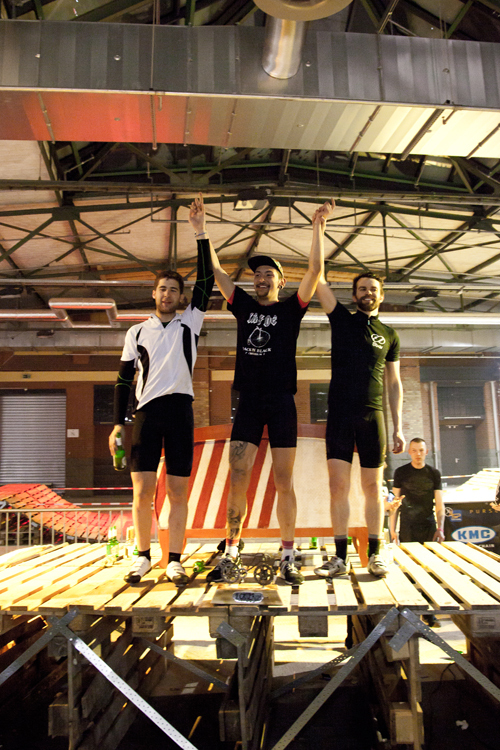 There were big names on the list, such as Francesco Martucci (Winner The Hunt London 2012, 4th Place Red Hook Crit Milan 2012) and J.T. 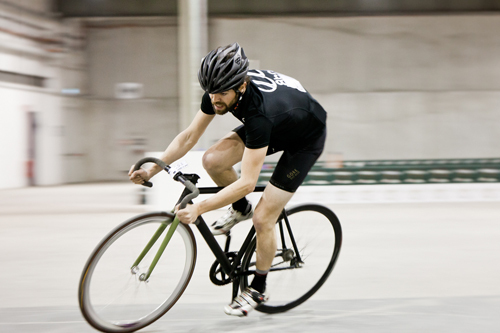 (Winner of the Monster Track Race NYC XIII). The course was short and really technical. That’s why the race was split in multiple qualifying rounds, two half finals and one final with ten racers. Chris was involved into a crash in the qualifying lap and couldn’t make it to the next round… Max and Stefan made it all the way through the qualifyings and half finals and were both under the top ten racers. The finals were really fast and it was a so called -last men standing- race where each round the last racer got kicked out. Unfortunately this lead to some kamikaze moves and a fatal crash. If it wasn’t clear until now… This is not just fun. Some riders take this maybe a bit to serious. Anyway… The 8bar riders Max x Stefan managed it not getting involved in any crashes and Max finished on a good 8th place. Stefan finished on the podium again and made it on the 3rd place. There were just two fast spanish guys in front of him. Mario Paz Duque finished first and Fernando Gutiérrez Martin finished second. 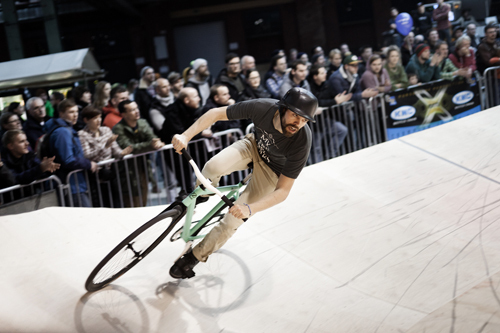 Mini Track x Mini Drome is getting more and more popular from all over the world. The Mini Track in Berlin is known as one of the fastest and this is maybe why one of the fastest guys in Europe (Toms Arlsberg) and his whole crew from Riga (TruFix Crew) came all the way to take part in this event. Max x Stefan also raced and Stefan made it on a good 4th place. The winner was Toms from Riga. There were also a lot of girls racing. Another crew from Riga called SheFix was rippin the Track. Thanks to the organizers. 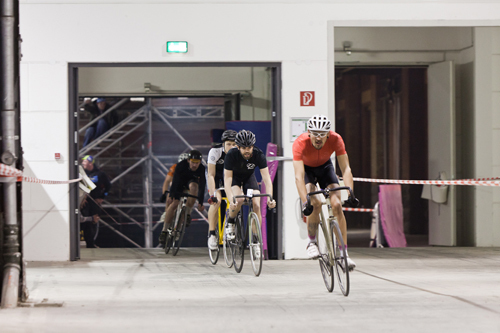 This was a weekend full of fun and it is nice to see that Fixed Gear racing is getting more and more popular all over the world. We are looking forward to 2014.